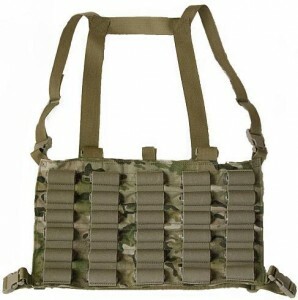 The Shotgun Shell Chest Rig was designed to support military tactical shotgun operations and support the increase use of tactical shotguns by Law Enforcement. 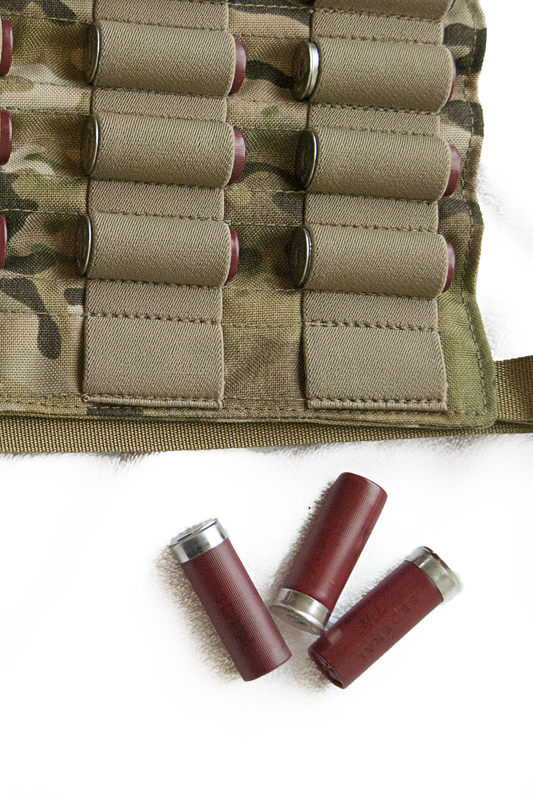 The need to carry advanced munition such as gas ferret rounds, rubber shot/super socks (bean bag rounds), shock-lock and Taser Xrep cartridge has drastically increased over the last few years. 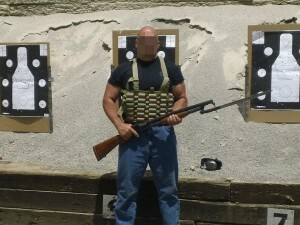 The shotgun chest rig supports a total of 30 shells in a 5 column 6 row configuration. The H-harness supports the weight of the shells and allows for easy extraction.